For many years, selling a practice has been a common transaction. Recent changes have resulted in an increase in the number of practice sales. Reasons for this include a fear of the future, encouraged by declining reimbursements, rising overhead costs, and increasing regulation. If you are considering the sale of your practice to another practitioner, you know there are many legal and business factors involved in such a matter. 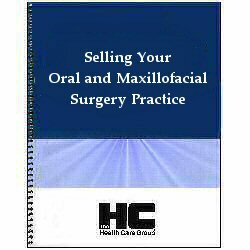 Selling Your Oral & Maxillofacial Surgery Practice covers all of these issues in depth, as well as the initial question of whether you should sell the practice at all. If you have already made the decision to put your practice on the market, learn all of the factors involved, from finding potential buyers and determining basic sale terms to securing the right professional assistance. Legal aspects are also fully explored, including how to maximize tax advantages, restrictive covenants, post-sale employment terms, security interests, and other contract provisions.